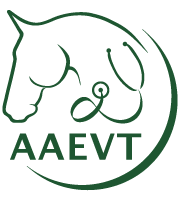 TCVM for Veterinary Technicians is a 29-hour programdesigned to teach vet techs how to support and promote TCVM services in an integrative veterinary practice. Through the program, technicians are given the tools to speak knowledgeably about the purpose and value of TCVM and to teach clients how to care for their animals with food therapy and Tui-na techniques. This program will equip your vet techs with an understanding of TCVM fundamental principles, the scientific basis for TCVM indications and contraindications. Graduates will be able to assist the veterinarians with basic TCVM procedures including moxibustion, electro-acupuncture, needle removal, simple Tui-na techniques, life-style consultations and more. Please note that no information about TCVM diagnosis or locations of acupuncture points will be covered in this program. A properly trained veterinary technician can help increase the efficiency of each TCVM appointment significantly so that doctors can see more patients. Along with Registration form, submit a reference letter from a licensed veterinarian. A one-time non-refundable $100 application fee is required for application process and student file. The registration will not be processed without the application fee.